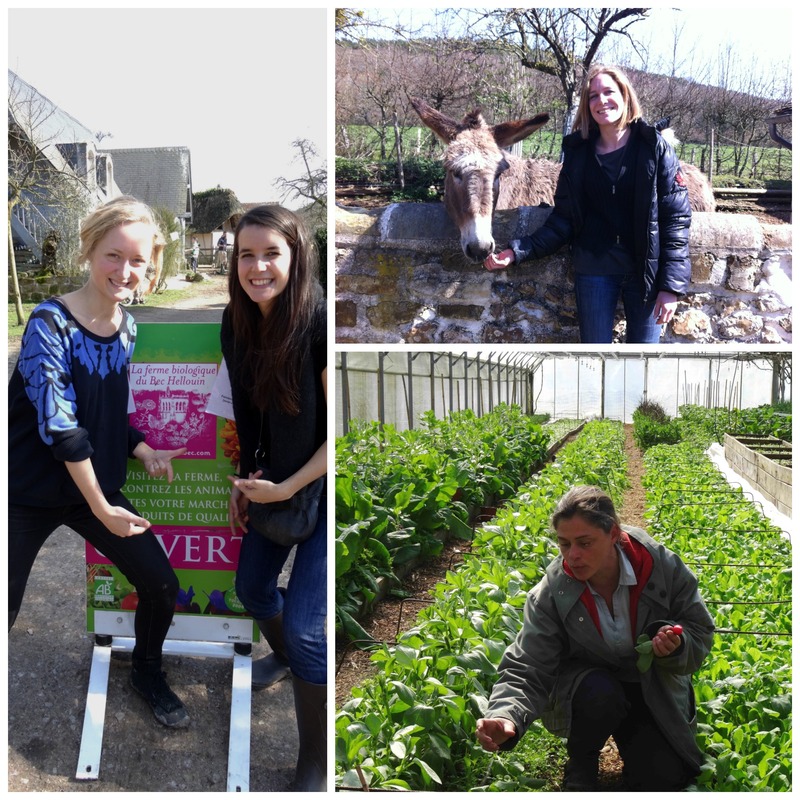 On the 1st of April 2016, I decided to go on an expedition with Julie, bubbly creator of « La box à planter » (the planting box), and Mathilde, a very good friend of mine who is starting a vegetable garden along with other students at their campus in Belgium, after having watched the movie DEMAIN (Tomorrow). Goobbye computers, goodbye Parisian greyness ! We are heading to Normandie for the first « open farm day » of the year at the Bec Hellouin farm. But, why go to that farm in particular? The founder members, Charles and Perrine, are what we call « new-farmers »: former urban dwellers going back to nature and seeking for fundamental values. Before this reconversion, Charles was a skipper on his own schools boat « Fleur de Lampaul » and Perrine was a brilliant lawyer in Asia. To some extent, they are proof that we could all succeed in cultivating. 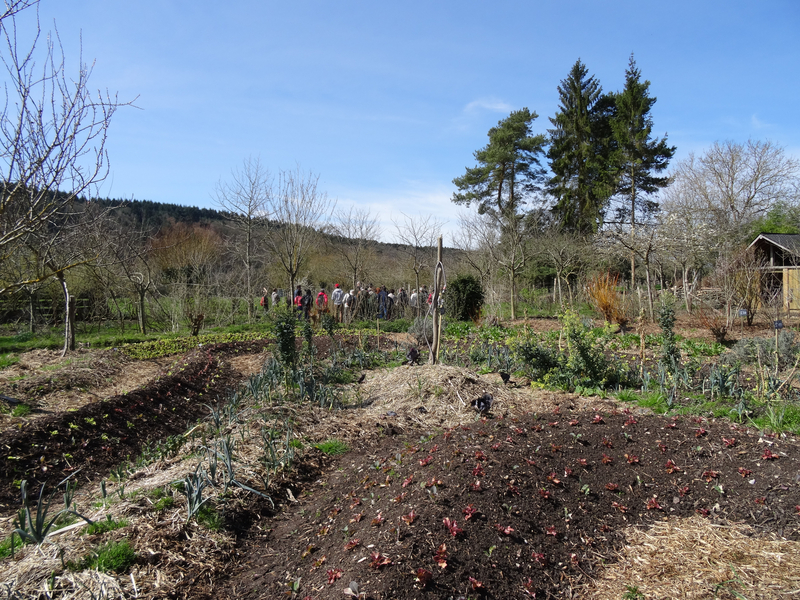 After a couple of years imitating how nature works using the permaculture method, they created a « generous oasis of life on poor soils » as you can read on the preface of their book « PERMACULTURE, healing soils, feeding men ». That’s where they really achieved something and all 3 of us started dreaming about our oasis of life to come. Perrine and Charles went even further: during their partnership with a team of researchers form the INRA and the AGROPARITECH, they showed that it is possible to produce more, on small surfaces, than a traditional farmer on a larger surface, as well as creating employment with permaculture. All this motivated us to go and visit the farm. From everything we saw and heard during that sunny day at the farm, there are two main points that we want to share. 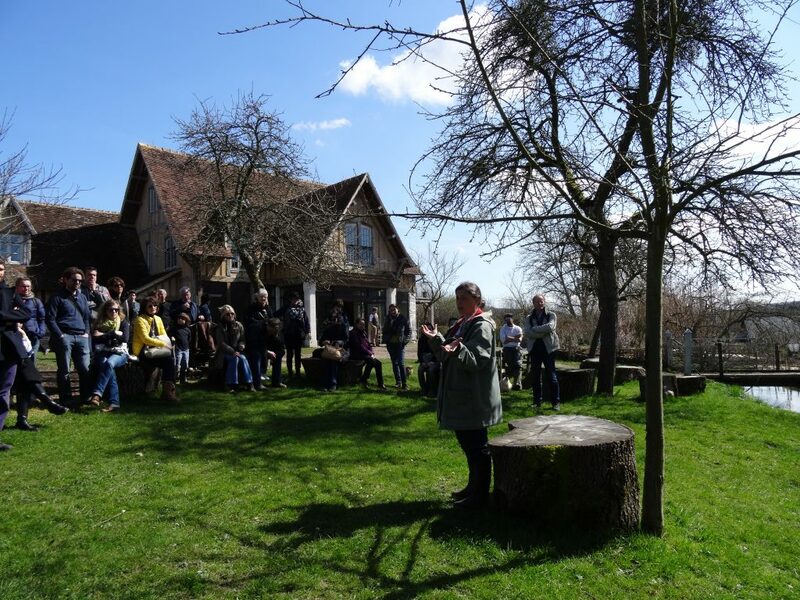 In order to produce more and better, Perrine and Charles favour the well being of plants, by studying their needs, associating them with other plants, naturally nourrishing the soil (with branches and mulching found on their property), creating a shadded place thanks to fruit trees and warmer spaces thanks to the microclimate generated by their island-garden. They consider that everything is related in nature and it is by respecting life under all aspects that their farm became an amazing place that is also highly productive. Let’s not forget that to achieve such a result, they have been through various challenges, doubts and hard times. Today, to help us overcome the same challenges, they write down, train and bear witness of it all. Strenghth, the key element of that other form of agriculture lies in… soils. That’s how we refer to quality products, we mention the « terroir », the soils. This designation is none other than the one from which the plant gets all the nutrients from. In oppostion to what is commonly thought, a fertile soil isn’t the result of ploughing, or the caterpillar weight or even the chemicals that get sprayed on them. What makes soils rich and fertile is a harmonious work among the billions of bacteria, worms, micro organisms composing it and also the root system of all plants and trees covering it. Thanks for reading us. Please share your comments ! !